Breakstone, White & Gluck, P.C. of Boston has extensive experience handling personal injury cases for brain injury survivors and their families. If you or a loved one suspect you have sustained a concussion, head injury or traumatic brain injury (TBI), visit a doctor immediately. Prompt access to medical tests such as MRIs can make a critical difference in your long-term quality of life. If a doctor has already diagnosed you or a loved one with a traumatic brain injury, it is important to establish a medical plan and obtain a skilled personal injury lawyer. Breakstone, White & Gluck can assist you. With over 100 years combined legal experience, our lawyers help traumatic brain injury survivors obtain the long-term care and support they need to move forward in recovery. Over the years, we have obtained millions of dollars in compensation for our clients. There are two major types of TBI: open traumatic brain injury and closed traumatic brain injury. An open TBI can occur when a foreign object penetrates the skull and enters the brain. One suffers a closed traumatic brain injury when the skull is not fractured. A concussion is considered a form of a mild traumatic brain injury and a closed traumatic brain injury. It can occur when one suffers a bump, impact or blow to the head, such as in a car crash, youth sports or other situation. A concussion requires immediate medical attention, then usually rest. A person who suffers a concussion is usually expected to fully recover, though it may take a few months. A traumatic brain injury is more severe and usually involves a longer period of disruption to the normal brain function, as well as an extended period of unconsciousness and other symptoms. Go to a local emergency room for your injuries. Document any symptoms in a notebook. If you are caring for a loved one, watch out for the symptoms listed above. Obtain the necessary tests. First, listen to your doctor's recommendation for tests. Then specifically ask about MRI (Magnetic resonance imaging) scans and CT scans (otherwise known as Computerized tomography scans). 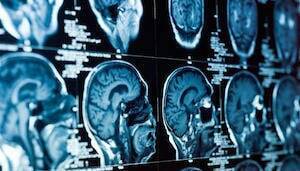 What Damages are Available in Brain Injury Cases? Depending on the severity of a brain injury, the liable party may be responsible for compensating medical expenses, pain and suffering, and lost wages - past and future. Estimating ongoing medical expenses requires a thorough review by health care experts and the brain injury attorney. There may be several liable parties and vary depending on the details of each injury. The list of possible liable parties includes employers, drunk drivers, individuals involved in criminal acts, medical professionals, property owners and many more. Here are a few brain injury cases handled by Breakstone, White & Gluck. Contact a lawyer as soon as you suspect a traumatic brain injury. Breakstone, White & Gluck, a Boston personal injury law firm, has extensive experience handling complex head injury and brain injury cases. Contact us today at 800-379-1244 or 617-723-7676 or use our contact form.